It’s been nearly five years since I last visited Anne Elliott and Captain Wentworth’s story, and I thought, especially after liking Emma so much and because of this article in Slate where they ranked it dead last, that maybe it wouldn’t be nearly as good this time around. 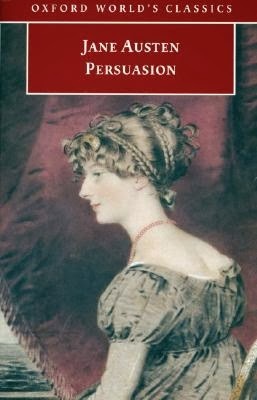 This book is the best one of Austen’s because it’s a re-finding of love lost, it’s the rekindling of hope, rather than the blush of first love. Anne and Wentworth were torn apart — by pride, prejudice, situation, class… all of which are Austen themes in her other books — and yet they overcome all in order to be together. Oh, it's definitely my favorite Austen novel, too! Yay! I have always loved this one too. It seems more real to me. I am not sure why, as I have no unrequited loves. But for me, it seems so special and fragile.